Name this obscure Pixar character! 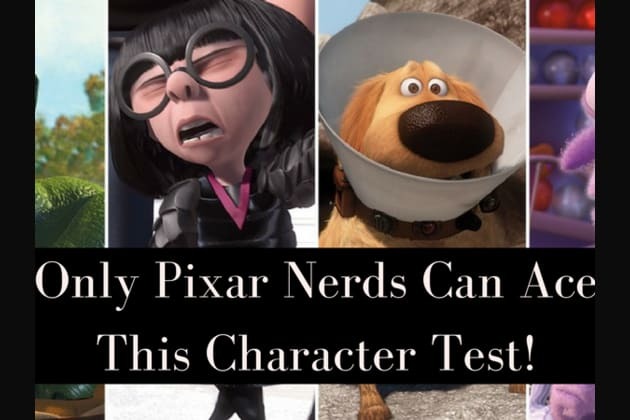 You're a Pixar expert! Wowee! You know a thing or two or ten about Pixar! How amazing is that!? Keep up your love of Pixar movies, so you can spread that love to all of your friends and family! To infinity and beyond, my friend. Hmm. Maybe you should, like, watch "Toy Story" or something? Oh, yikes. Sorry you didn't do so well on this quiz. But if you watch more Pixar movies, you'll do better the next time around! And you'll get to enjoy some of the best animation and most touching stories around. Win-win!